Yesterday I told you all about how we got on when we travelled with Stena Line to Wales and today I’m going to give Hafan Y Mor Holiday Park a review. Confession time. Before this trip, I’d never actually stayed overnight in a holiday park. Hands up. Who remembers Butlins? While I was a regular visitor in my childhood, with a family member who lived close by we never got to stay over so I really didn’t know what to expect at Hafan Y Mor. Staying in a mobile home or chalet in a windy location close to the sea though is something very familiar to both myself and the hubby. He remembers staying in a number of holiday parks in Wales in his youth. His mam was a font of information on the area which was great to have. It only took us 1 hour and 11 minutes to get from the port in Holyhead to the gates of Hafan Y Mor. It was pretty much a straight run, but I think that our map took us on the scenic route as it was shorter on the way back! Anyway the boys napped the whole way so we ended up not stopping for a picnic on the way. On arriving I checked in, promptly forgot to get a travel cot (idiot moment) and we headed off to check out our mobile home. It was extremely well kitted out, clean and 3 bedrooms. Now remember we’re talking small here. I was expecting it but if we had got a travel cot I think we would have had to put it in the living space as there was really nowhere else suitable. There’s the wee man distracted for a few minutes! We made a beeline for the swimming pool – no photos allowed for obvious reasons. There are plenty of family changing rooms and various pools that you can hop into. This was one of the biggest hits of the trip, we went everyday and made the most of it. Can you tell we’ve no pool in our hometown? Seriously this kitchen has more cupboard space than my own! The first night was rough. 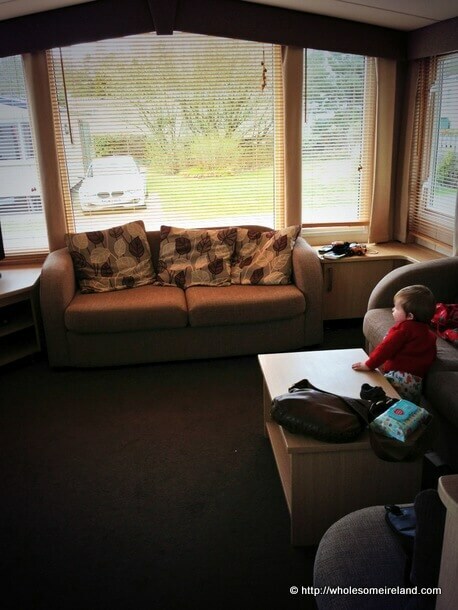 I had piled pillows on the floor underneath the bed I’d put the 18 month old in. He fell out a few times, he was grand but of course I was in and out like a yo-yo settling him. Saturday morning I went to reception to rent a travel cot only to discover there were none left in the entire park. Eeek! We managed to buy a bed rail off park later on in the day but I wish I’d known to book one in advance as they are in high demand. There’s no way I’d have fitted one into the car. The following morning hubby realised what a great landing spot the holiday park was for exploring and decided to go on a pilgrimage. Not exactly how I’d planned to spend my Saturday but the two older men in the family were very happy and the scenery as we drove up and down the Menai Straits was amazing. The 18 month old caught up on his sleep by snoozing lots in the car. Then we tired the kids out with a dip in the pool. That evening we went to the kids’ entertainment show. Ordered pizza in the venue. Yes you can do that! I managed about 90 minutes before even the noise of a High School Musical mix wasn’t keeping me awake. The 4 year old sobbed his heart out leaving. He loved the show, the dancing, the entertainment and audience participation. Bad mammy. Sunday was so much fun. 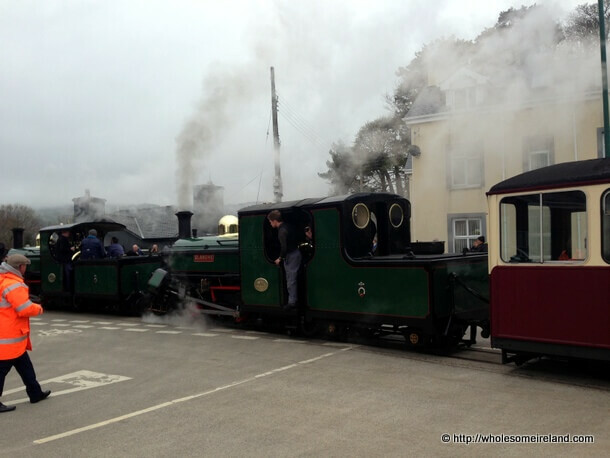 I had heard that there was a Steam Railway in Porthmadog which was only up the road from Hafan Y Mor and I know that the characters from Thomas The Tank Engine are based upon the railways in the area. We took a quick spin up to discover that there was a Steam Festival going on. There were people dressed in period costume, more often departures and a great buzz in the air, along with steam. 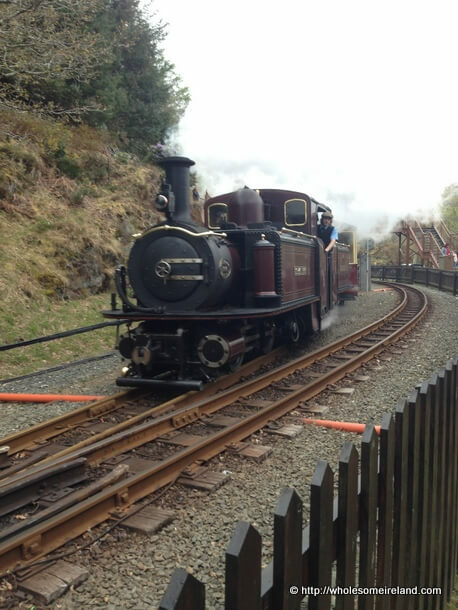 So we took the boys up the Ffestiniog Railway into Snowdonia. What a treat! We stopped off at Tan Y Bawr station where there is a brilliant playground and coffee shop. The kids played, we got a lovely lunch and we got to see all the trains pulling in and out. Sunday was our last evening in the holiday park. We ate on site again, then took the kids up to the entertainment centre one last time. At this point the 4 year old was very aware we were going home the following day and the tears were kept at bay for a while as he jumped, bopped and overall had a great time. Brilliant base for exploring North Wales and beyond. Good quality roads, lovely and central. Super swimming pool with ample family changing areas. No time limits apart from regular opening/closing hours. Loads of family friendly activities that are free. There are others that you have to pay for but they are optional. Fantastic free evening entertainment for children. It kept both their attention for hours. 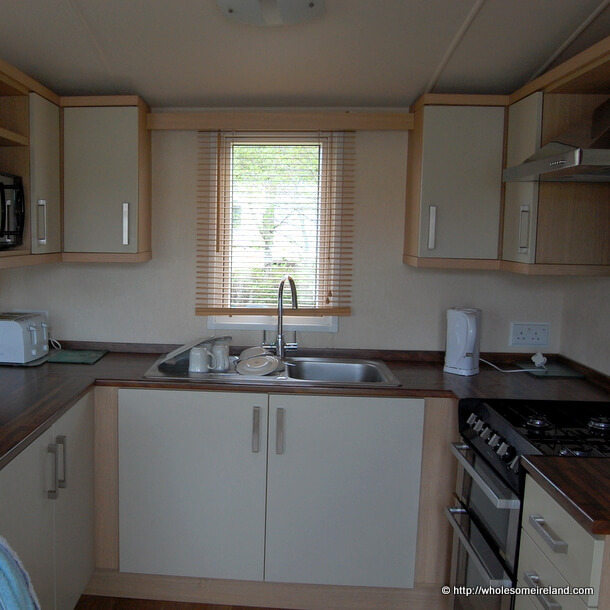 Top quality mobile homes to rent with modern fittings and central heating (very important in the recent weather), depending on the home you rent. The food on site was a mix of take away options and pub grub. I reckon you’re best cooking your own meals to keep costs down even more and eat better. Otherwise it’s pizza, fish & chips, burger & chips or pub grub. Okay every now and again but it would get tiresome and it’s not particularly healthy. You need to bring everything with you. Depending on your choice of mobile home, you may get your bed linen included, check before you go. When the weather is bad it gets cold at night, consider renting a home with central heating. I should have brought our own food from home but wasn’t thinking straight and we went to the local Asda to stock up on provisions (breaking one of my golden rules). If you’ve been travelling all morning and part of the afternoon you’d be better off stocking up the next day after a rest. Items available to rent (like travel cots) book up quickly at peak times so book before you get there! Overall would we go back? Definitely. Again, this is a trip on a tight budget. Compared to holiday parks or package holidays on mainland Europe it is great value combined with a ferry trip. I’m already doing my best to save up to bring the whole family over in Summer 2014. If you want to book a combined ferry and holiday park trip, here is a link which will get you a discount of €100 on your accommodation for a limited period. My top tip is that if you are intending to make the combination trip, keep your Tesco Clubcard vouchers to save even more again. 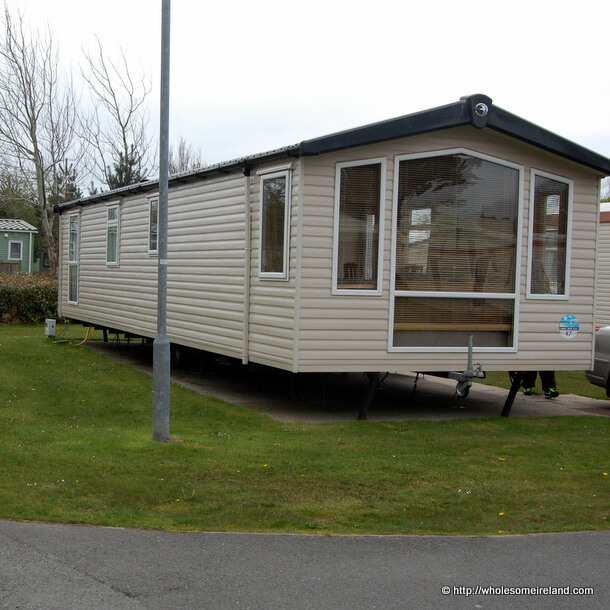 Please Note: We stayed at Hafan Y Mor Holiday Park as guests of Haven. My opinions are my own and I’m not paid to give them. Sounds like a lovely long weekend! 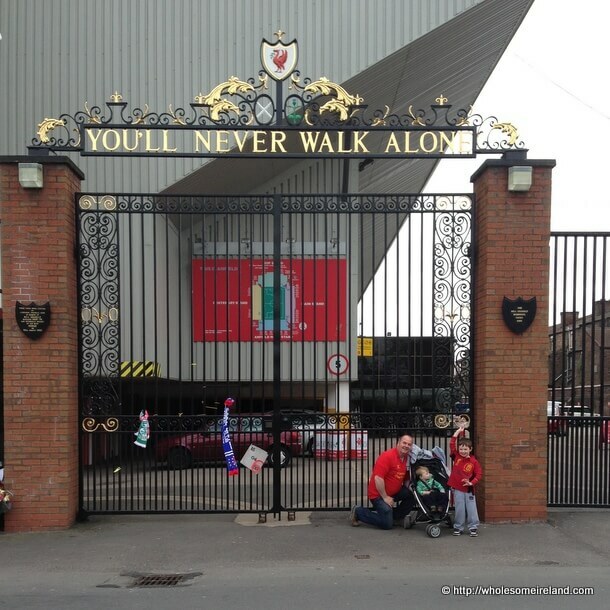 Wonderful that you got to visit Anfield (I’m not being sarcastic!!!) Living in Drogheda we never got to stay over in Butlins/Mosney as it was so close and I always felt hard done by!!! Strangely my parents thought nothing of renting a caravan in Clogherhead for a couple of weeks every year! (I’m thinking it was probably pretty expensive to stay at the camp overnight) As a teenager I traveled to Trabolgan and had my first “holiday camp” experience… all I can say it’s best to enjoy this when the kiddies are under 12!!! 🙂 Thanks for sharing! Yes! We spent weeks in Clogherhead too. Bet we knew one another!!! We were there pretty much every year from 82-93ish. Stayed in the family chalet! It was in Clogher Cove. Remember the discos in the Aisling? To be honest I don’t want to remember, far too embarrassing! This is too funny! When I think back about it, it was all so primitive, you wouldn’t get away with it now with children! We used to have to go and get our water from a well!!! And I’m pretty sure we didn’t have a fridge. No wet suits either! Loved every minute though. We definitely had a fridge, no heating, ne’er a wetsuit but loads of happy memories! Looks like you all had a great time. 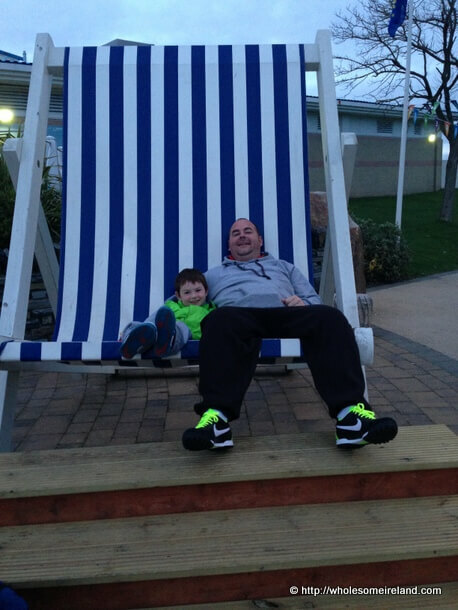 Must get one of those chairs for the garden! Perfect for lying in lengthways!